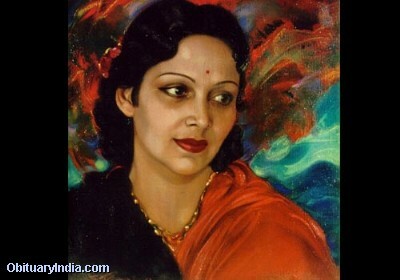 Devika Rani came from a distinguished background: she was the great-grand-niece of the Nobel Laureate Rabindranath Tagore and her father, Col. M. N. Chaudhuri, was the first Indian Surgeon-General of Madras. 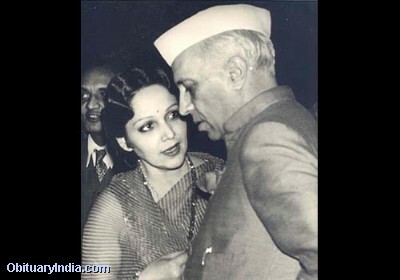 In 1958, Devika Rani was honoured with the Padma Shri by the President of India. On November 21, 1970, the Government of India conferred on Devika Rani the first Dadasaheb Phalke Award for her outstanding service to the film industry. Equally invaluable is the prestigious Soviet Land Nehru award conferred on her in 1989. The Bombay Talkies Ltd., was founded by Himansu Rai and Devika Rani in 1934 in Malad, Bombay. It was a public limited company formed by eminent businessmen of Bombay including F.E.Dinhsaw, Sir Firoze Sethna and others. The advent of the Bombay Talkies gave an impetus to Indian films. Sundaram' (Truth, goodness and beauty). Daughter of Col.M.N.Choudheri, I.M.S., and Mrs.Leela Choudheri, she was born in Waltair. Her father had a distinguished medical career and was the first Indian Surgeon General of Madras. She was educated in England and while at School, she received a scholarship from the Royal Academy of Dramatic Arts and the Royal Academy of Music in London to study acting and music. She took up the study of applied arts in London, specialising in textile designing and decor, and also studied architecture. At an early age, she was already earning her living as a textile designer at a leading art studio in London. While in London in 1928, she met the well-known Indian producer Himansu Rai who produced famous Indian films like 'The Light of Asia', 'Shiraz' and 'A Throw of Dice' for Indian and international markets. Mr.Rai persuaded Devika Rani to join his production unit, to further the cause of Indian films. She signed a contract in London with Mr.Bruce Wolfe who was then associated with Himansu Rai. She later returned to India with Himansu Rai and his English and German experts to work on 'A Throw of Dice' which was scheduled for production for England, Germany and the Continent. She worked on the costumes and sets of this production under the guidance of the art director Promod Roy and studied the art of production. In 1929, she married Himansu Rai and returned with him to Germany. Mr.Rai was the only Indian producer with the famous German film concern U.F.A. in Berlin. At the U.F.A. Studios, Devika Rani learnt costumes designing, make-up, decor and other different branches of film production with special training in acting. She apprenticed in the Eric Pommer production unit at U.F.A., where she studied the art and techniques of acting under the guidance of Germany's great director Pabst, and other famous directors. She was a U.F.A. at the time of the epoch-making change over from silent to the talkie films, and with Himansu Rai had the rare opportunity of seeing and studying the various changes and experiments in the new talking pictures. 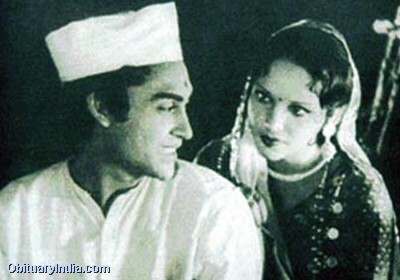 At the time, Devika Rani also acted with Himansu Rai in a play for U.F.A. which took them to Switzerland and the Scandinavian countries, where they were received with the highest honours. She was also a student in the production unit of the famous State producer Max Heinhardt in Germany. From Germany, Devika Rani and Himansu Rai returned to India, to produce their first international talking picture 'KARMA' in which Devika Rani, Himansu Rai, Princess Suda Rani of Burdwan and others acted. 'KARMA' was produced both in English and Hindusthani and was completed at the Stall Studios in London. It was the first Indian talking picture in English and Hindusthani to be released in England and on the Continent as well as Indian. 'KARMA' was received with the highest approbation by the public of London. The premier was inaugurated by Lord Irwin and attended by the highest officials and England's most distinguished artiste. The same success was accorded to 'KARMA' throughout Great Britain and wherever it was released. The release of 'KARMA' in India created a sensation, it was the beginning of a new era in Indian motion picture production. It was in 'KARMA' that Devika Rani established herself as a 'star' of first magnitude. 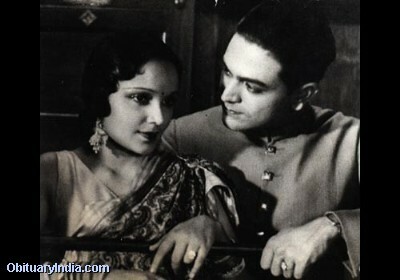 During the screening of 'KARMA', Devika Rani was honoured by an invitation of the B.B.C. at London to act in the first television broadcast in Britain which was relayed throughout the country. She was also chosen to inaugurate the first B.B.C. broadcast on the short wave length to India. The Bombay Talkies Ltd., was founded by Himansu Rai and Devika Rani in 1934 in Malad, Bombay. It was a public limited company formed by eminent businessmen of Bombay including F.E.Dinhsaw, Sir Firoze Sethna and others. The advent of the Bombay Talkies gave an impetus to Indian films. It was Himansu Rai's idea to attract to films the best elements of society as he believed that education and a cultured background where essential to achieve high standards in art. The Bombay Talkies set a new standard in motion picture production in India on most up-to-date lines with experts from England, Germany, France who also trained young Indian men and women in the art and techniques of films production. It was responsible for a vast number of famous producers, directors, stars, musicians, writers, poets and technicians who even today rank among the best in the country. Devika Rani was the star of the Bombay Talkies Ltd. Her outstanding portrayals, her style of acting and new approach created a distinct form and tradition. She acted in numerous films, many of which have become classics of the Indian screen. Among her most famous pictures were 'Jawani-Ki-Hawa', 'Jeevan Nayya', 'Achoot Kanya', 'Savitri', 'Jeevan Prabhat', 'Durga', 'Vachan', 'Nirmala' and 'Izzat'. 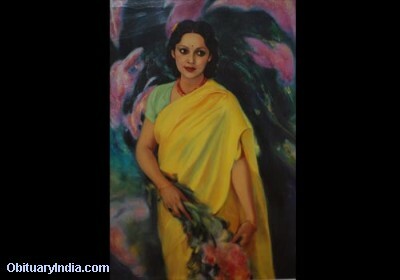 She was acclaimed as India's greatest film actress, and was popularly known as the 'First Lady of the Indian screen'. 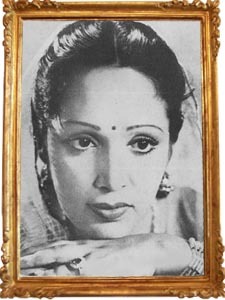 During this period, Devika Rani was the recipient of numerous honours, awards, medals and prizes from the film industry, the Press and the public. After the death of the great founder of the Bombay Talkies Mr.Himansu Rai in 1940, Devika Rani was made Controller of Production of the Bombay Talkies. She was a partner and also a producer of the concern. She was asked to assume the responsibility of management of the Bombay Talkies including the business. The shares of the company rose to their highest level during this period. 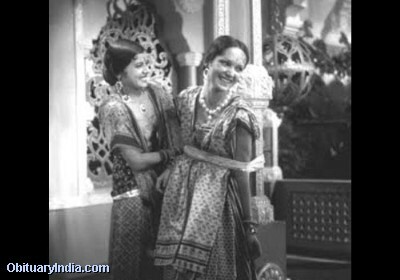 Among some of the outstanding artistes trained and presented for the first time on the screen during the period are such famous names as Leela Chitnis, Dilip Kumar, Madhubala, Mumtaz, Shanti, etc., as well as many outstanding technicians, producers, directors, story and screen writers and artistes who are among the most successful film personalities of today. In 1945 at the height of her film career, Devika Rani decided to retire from the Bombay Talkies Ltd. She married Dr.Svetoslav Roerich, she was a member of the Central Government Audio Visual Education Board. She was also nominated to the National Academy of Dance, Drama, Music and Films, the Sangeet Natak Akademi, Delhi, as a nominee of the Central Government and was a member of the Executive Board of the National Academy, Member of the Lalit Kala Akademi and the National Handicrafts Board and Member of the Indian Council for Cultural Relations. On Republic Day, January 26, 1958, the President of India conferred the decoration of 'PADMA SHRI' on Devika Rani for her valuable contribution to Indian motion picture. On November 21, 1970, the Government of India conferred on Devika Rani the first Dadasaheb Phalke Award for her outstanding service to the film industry. Equally invaluable is the prestigious Soviet Land Nehru award conferred on her in 1989.